Freekeh (pronounced freak-ah) is an ancient grain that's been used in the Middle East, North Africa, and Mediterranean for thousands of years. It's also known as farik, fireek, freekeh, freeky, and freek. 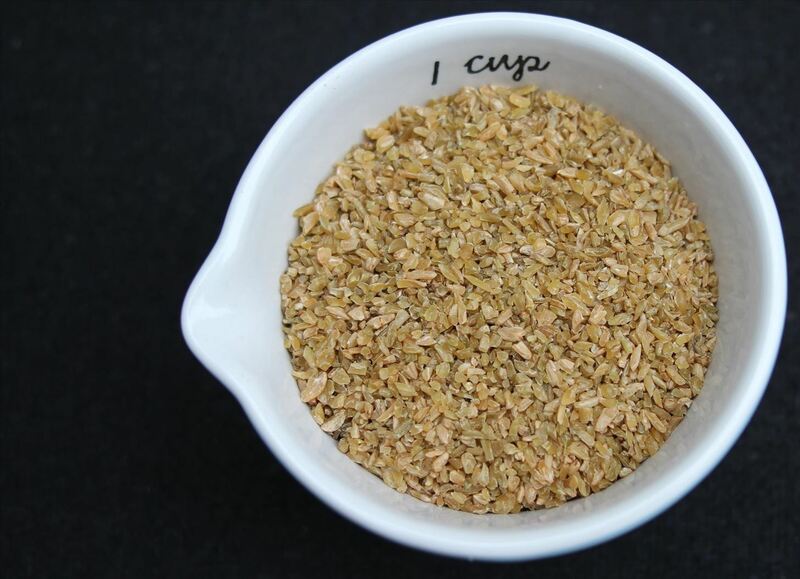 Made from immature wheat (durum or semolina), freekeh is roasted, sun-dried, and then thrashed/rubbed into a uniform texture. (Farik means 'to rub' in Arabic.) It's this roasting process that gives it such a rich, earthy flavor. It Tastes Great. Freekeh is nutty, chewy, and smoky. Just like pasta and rice, it goes with almost anything; in texture it's more like farro, with a nice texture and bite to it. It Cooks Quickly. In less than 20 minutes, you can have a fluffy, tasty bowl of freekeh. It's Really Good for You. 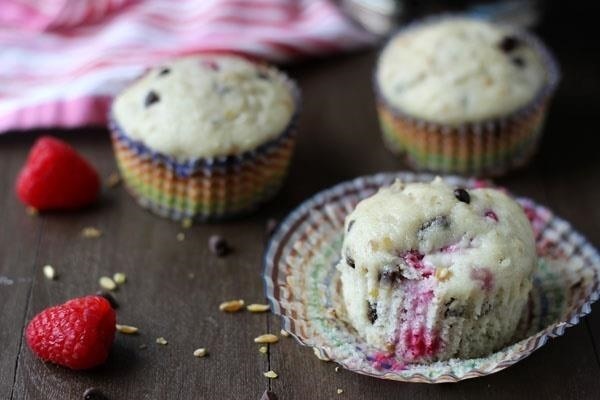 We must all know by now that whole grains are better for us than refined ones. Now put freekeh on top of all the other whole grains, because it's so chock-full of vitamins, minerals, protein, calcium, zinc, and fiber. It Keeps You Full. All that fiber and protein means that freekeh has more staying power than rice, pasta, and even highly nutritious quinoa. Freekeh as a side dish is just as easy to cook as rice or barley, but without all that waiting around. In a medium pot, combine all ingredients. Bring to a boil. Reduce to a simmer and cook for about 15-20 minutes, stirring occasionally. The water should be completely absorbed when done. You can eat a bowl of freekeh instead of rice, but you can also use it in almost every type of dish, from soups to salads. It's great as a base for fried rice or served alongside roasts and stews. 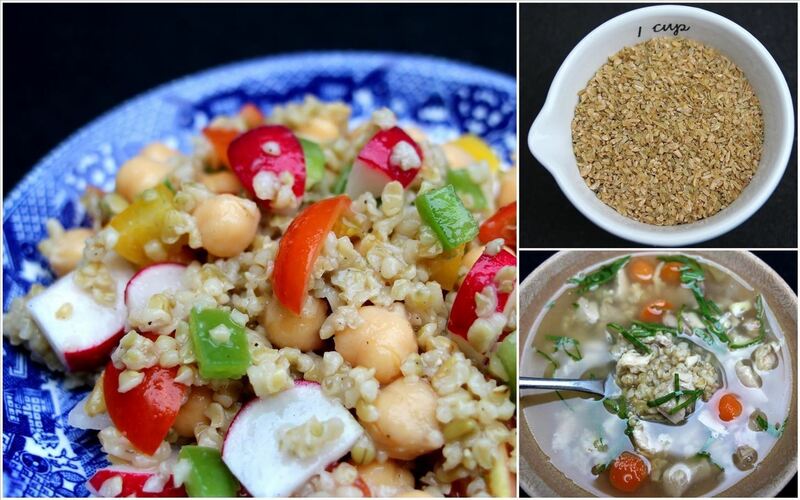 Toss freekeh with your favorite vinaigrette and a colorful assortment of vegetables, beans, and greens. 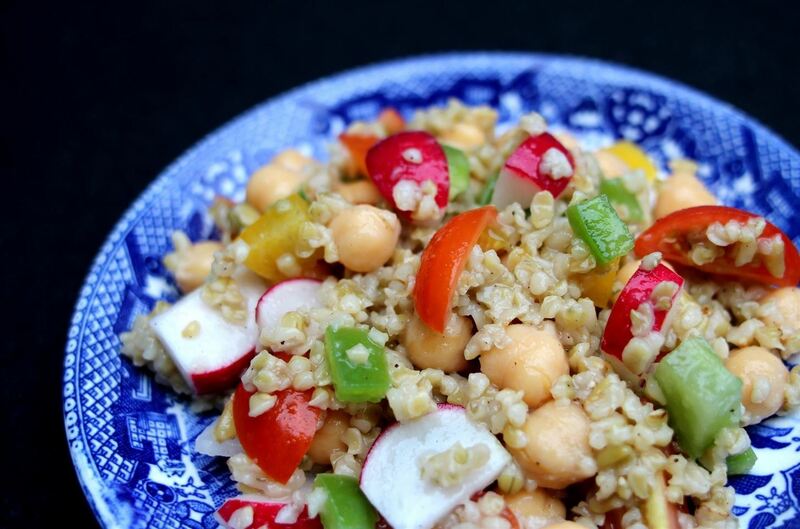 The addition of freekeh bulks up a light salad into a dish substantial enough to serve as a real meal. 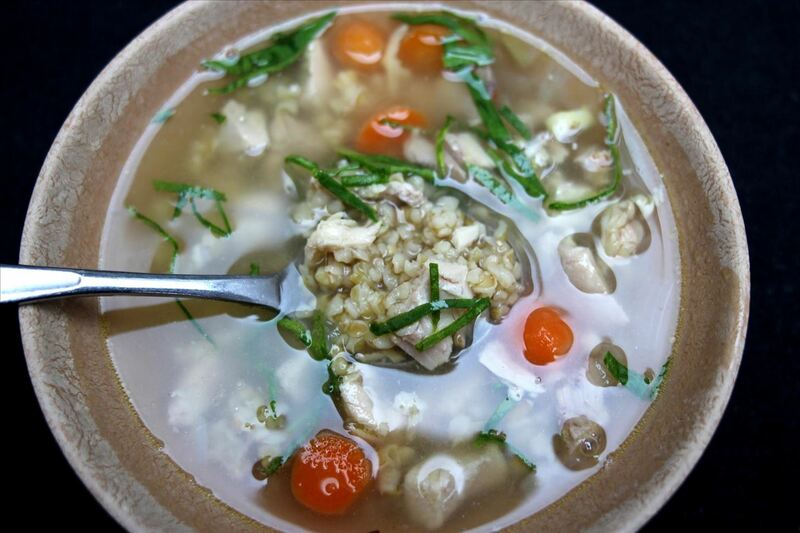 Instead of noodles or barley or rice, add freekeh to your favorite soup. It holds up well in liquid and pairs well with almost any type of spice. 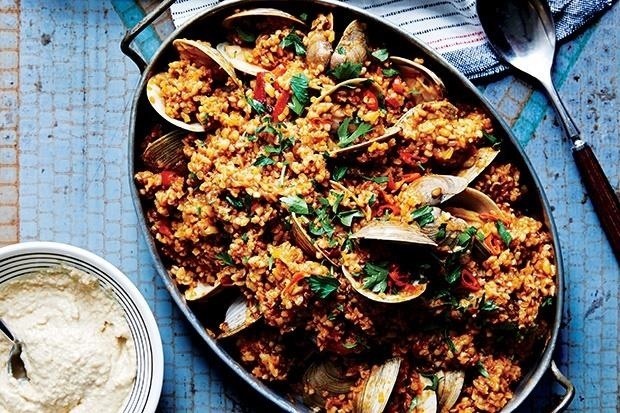 This gorgeous paella made with freekeh, clams, and almond aioli is super smart, because gummy rice is an unfortunate byproduct of inexperienced paella-makers everywhere. The freekeh doesn't disintegrate in all that simmering, so you'll have a better chance of putting out a picture-perfect dish with this recipe. Freekeh is readily available at most health food stores and chains like Whole Foods. You can also order it online. There's an 8 ounce option from Freekeh Foods if you want to try it out. Yankee Traders sells a two pound bag of organic freekeh for a reasonable price. Keep expanding your culinary horizons every Wednesday by learning why people are adding charcoal to their food and why black garlic is magically delicious, among other things. News: Welcome To Secret Tips from the Yumiverse!